People died at this concert. Ghostbusters has to be on TV at some point tonight, or it should have been in the last week, I think I’ll watch it tonight. 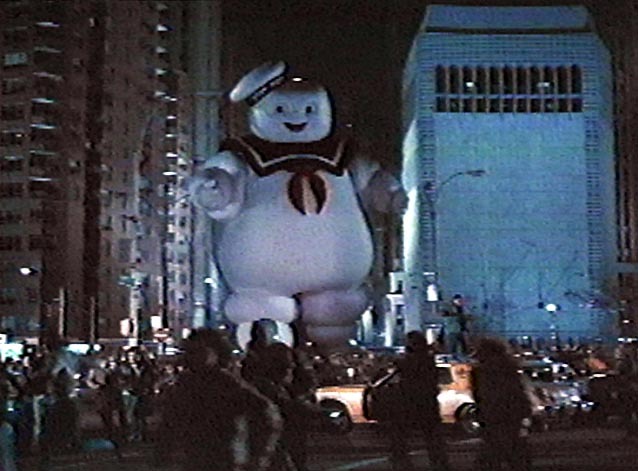 Ghostbusters, be weary this evening. I have filed a grievance with the league office for scheduling our game the day after Halloween, when we will obviously be out late protecting the city from the paranormal. 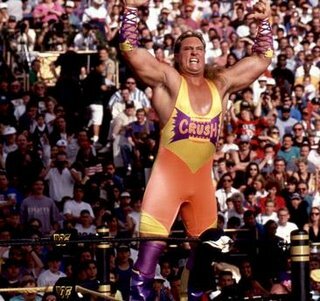 the Crush received a first round bye. They will let anyone into grad school these days. Starting in January the Ducks blog will be composed by an actual MFA student. The answer to the lingering question, “does one suddenly transform into a condescending douche-bag when they begin their pursuit of a Master’s in Fiction Writing?” is at my fingertips. The plan is win two games tomorrow, but the Wild card Game will be managed like there is no tomorrow, or later in the day. Tomorrow at 9am; Bad News for the Gray Bats. The Avalon Ghostbusters of the North Hills will play the Gray Bats in the first round of the Fall Ball playoffs at 9am this Saturday at Pie Traynor Field. The Winner of the 9am game plays the Orange Crush for the Championship at 11:30. Good for the Phillies and the five friends of mine who make up the anomalous, Tolerable Philadelphia Fans Contingent. Rob, Guthrie, Hugh, Homa, Jesse, at least you’re happy and hungover. I’m pretty sure the title is ironic. Had Maddon picked any other Stones song he would have become my favorite manager ever (he may be anyway), just for reaching out beyond the two choices and showing some knowledge of the band, but I suppose immediately following a World Series loss in a rain-delayed game that spanned four days isn’t the best time to be put on the spot about the catalog of a rock band no matter how famous. At least “You Can’t Always Get What You Want” was not mentioned. Not much to report, other than the Gray Bats are still going to lose in grand fashion when they take on the Ghostbusters this Saturday at 9am, at Pie Traynor Field. It figures to be a pitchers deul, as the cold weather will will most likely have more of an effect on the batters. How about that postponed World Series game tonight? The PIttsburgh NABA Fall ball season is on pace to out-last the MLB season. I write about the Steelers for this subtly-named blog. I haven’t heard the original version of this song in its entirety, apparently it is rather popular. Bats Head Coach Larry Zalewski has invited Ben Sorosky to pitch against the Avalon Ghostbusters of the North Hills this Saturday. Rumor has it BJ Rankin will start, and Sorosky will pitch in relief. Rankin will rue the day he was taken from the Ghostbusters roster in an attempt to make the Fall Ball season more competitive. Zalewski is clearly terrified of the potent Ghostbusters’ offense. Starting pitcher Dr.Venkman will get the job done. Schwartz and Egon Spangler wait in relief if necessary. They only have three guys who can hit anyway. The Bats season will end tomorrow. Ghostbusters earn home field in 1st round of fall playoffs! The Orange Crush have dominated this fall season thanks in large part to the enormous fake breasts of their corner infielders, Joe Graff’s scappy catching and astronomical OBP, lights out performances by Ducks/Blues pitchers Christian Necheff and Mark Guthrie, havoc-wreaking plate appearances by the Stay Puft Marshmallow Man, and the Earl Weaver-esque head coaching of Brian Strom. They have coasted to a first round bye and a spot in the championship game. The Ghostbusters can not afford to look past the Gray Bats, who have an Ace of their own in BJ Rankin, and may call on the services of trade deadline addition, pitcher, Ben Sorosky for the Wild Card round of the playoffs, should Alex Warren’s ankle remain swollen, and if Rankin’s arm is not in good shape. Ghostbusters’ manager Ben Gwin’s approach for regular season has been to bat 12 players and prioritize playing time over winning. During the playoffs, he will bat nine or ten players and put the best defensive team on the field, every one who shows up will play, but the priority will be on advancing to the finals and eventually defeating the Crush. Dr. Dan “Venkman” Morgan will start on the hill for the Ghostbusters in the Wild Card playoff. BIG THUNDER: Ghostbusters Win Regular Season Finale. Pittsburgh NABA legend, and Pitt Greensburg Ace, Ben Sorosky made his pitching debut for the Gray Bats, but Alex Schwartz rose to the challenge, matching Sorosky for six innings, and earning a hard fought win for the Ghostbusters in a classic pitchers duel. After Sorosky struck out seven of the first ten ghostbusters he faced, the Ghostbuster took the lead in the top of the fourth, Tony Casale walked, and stole second and third, after a failed squeeze attempt, Ben Gwin, who struck out in is first at bat against Sorosky, hit a towering fly ball to right field which was just deep enough to score Casale to give the Ghostbusters a 1-0 lead. The Ghostbusters led 1-0 on the strength of only one hit, until the Bats used their heightened sonar-like hearing to plate one run in the bottom of the fifth. The Bats loaded the bases on a single an error and a walk, and got a hit form their first baseman, #13, to tie the game at 1. Schwartz worked out of the bases loaded no-outs jam with only one unearned run. Rob Swanger robbed Sorosky of a potential go ahead RBI with a diving catch in center. In the top of the sixth, Vinny Gala led off with a double, Gwin reached on an error after grounding a first pitch change up right at the third baseman, Gala moved to third and Gwin stole second, on the next pitch. Adam Smith walked to load the bases, and Alex Schwartz recorded his first game winning RBI of the season on a bases loaded walk, 2-1 Ghostbusters. The bases remained loaded, with Gwin on third base, and Sorosky working from the windup. Schwartz retired the Bats in order in the bottom of the sixth. In the top of the seventh, Joe Graff walked stole second, and scored on Rob Swangers ground out to deep shortstop. To put the Ghostbusters ahead 4-1. Dr. Dan “Venkman” Morgan shut down the Bats in the bottom of the seventh to record the save. The Ghostbusters (4-4) face the Bats (3-5) in a rematch in the first round of the playoffs this Saturday at 9am at Pie Traynor field, the losing team will play the O.C. in an exhibition game at 11:30, the winning team will advance to play the Orange Crush in the Championship November 1st at 9am. Vinny Gala was 1-2 with a double and scored the winning run. Gwin was 0-2, with 1K, 1RBI, 2 SB and 1 run. Venkman had his first save of the season and has been the most reliable pitcher, on a tremendous Ghostbusters staff, he also got out of the way when I stole home. Using the fall season to work on your swing makes it imperative to find other ways to contribute, to hit a flair into right to get a run across and to hustle out a grounder to third and steal home when I was over-matched at the plate is as satisfying as going 3-3. I was over-matched Sorosky, good game, and that was a sick behind the back play on that grounder up the middle, absolutely sick. See you this weekend? I’m trapped, waiting for the UPS guy to arrive with my BWP order between 10:30 and 2pm. I’m sitting in my 3rd floor office neurotically peeking out the window every 45 seconds, terrified I will not hear the buzzer, as I suspect happened yesterday on the first delivery attempt..(gets up and looks out the window) — nope not the UPS guy. Anyway, How ’bout them Red Sox? I don’t claim to be a Boston supporter, in fact I’d like to see Tampa Bay win the ALCS, but I do have a contingent of Boston fans who are friends, guys who have cheered for Boston since the late 80’s-early 90’2 when they were bad, and I am happy for them when the Red Sox win. I’d enjoy a seven game series. My sister, who was at game five (I asked her to wear Ducks apparel to the game, as she managed to score seats behind home plate and may have been on camera) lives in Marlboro Massachusetts and has happily taken on the Red Sox as her favorite baseball team, while retaining her loyalty to the Penguins and Steelers) which I think is fine since the Pirates have not tried to win since Wade Boggs was still a Sock. The Pirates front office doesn’t seem concerned with the team’s fans, or filling our city’s beautiful stadium with a team that can either win now, or is filled with young talent that is fast, exciting and could perhaps contend in the future their fans so I see no reason why adopting a relevant baseball team to cheer for should be frowned upon, as long as its not the Yankees. Hopefully some of the guys the Buccos received in the Bay/Nady/Marte trades respectively pan out and there is some legitimate reason for hope among the Pirates dwindling fan base. Plus living in the greater Boston area, life is much more pleasent when the local spots affiliates are winning, so when the Boston teams win, my sister’s quality of life improves, and that is something I am in favor of. Oh, and the Phillies won, beating the Dodgers in five games. I’m a Manny supporter. he was something like 8-9 with runners in scoring position in the NLCS. He used to sleep in the batting cages overnight, wake up and hit outside sliders for hours. The hard work is evident in his production. He’ll be a Yankee. 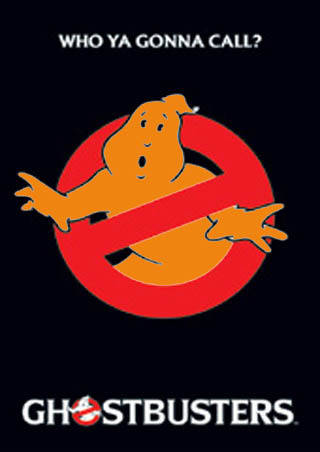 Ghostbusters(3-4) vs. Gray Bats (2-4): Saturday 11:30 am, Pie Traynor Field. The winner of this game will secure home-field advantage for next week’s first-round playoff game. The O.C. (5-2) has clinched a first round bye, heading into their regular season finale. Number nine is coming down from the rafters this Saturday, with Garrett Moore’s spot in the outfield vacated due to Moore’s shoulder injury and his current quest for Nirvana, his spot will be temporarily filled by former Ducks outfielder, Rob Swanger, who looks forward to the challenge of facing Bats ringer Ben Sorosky. The Avalon Ghostbusters of the North Hills dominated the Gray bats 15-5, after an unfortunate injury to gutsy ‘Bats starting pitcher Alex Warren, the Ghostbusters torched the bats bullpen for 12 runs. It seems the only way Warren will exit a game is if he is injured. Warren led off the game for the Gray Bats, and was promptly hit in the leg by A. Smith, who was wild early. Avalon benefited from great pitching as A. Smith (W, 2-1) and Alex Schwartz, challenging the Gray Bats thanks to an outpouring of run support, combined to allow four earned runs over five innings striking out eight Gray Bats, and hitting four batters. The Bats jumped out to an early 2-0 lead as A. Smith hit three batters in the top of the first. A.Smith’s line: 3 IP, 6K, 3 HBP, 3 H, 2 R.
Footage of plate umpire Kenny Rayl. In the bottom of the first when Eric “Winston” Lee opened the frame with an infield single, promptly stole two bases and scored on Mike Watson’s ground out. Tony Casale was hit by a pitch and stole second and scored on Gwin’s double. In the bottom of the second, after Watson delivered a bases clearing two RBI double, Casale hit a single to left that eluded the Bats left fielder and rolled to the fence. Casale would score on the three base error. Avalon broke the game open with a nine run third inning. Mark Kuhns lead off with an infiedl single, and A. Smith, on the heels of Eric Procenti (sp.) walk, roped a single to left loading the bases for Dr. Dan “Venkman” Morgan who drove in a run with a blustering shot to second base which Angry Man mishandled, Alex Schwartz singled in two runsand Winston hit a sacrifice fly to center. Watson was hit by a pitch and Casale singled in two more runs. 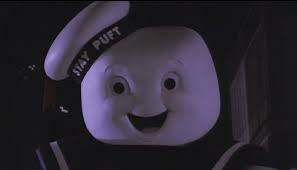 Gala walked in a run, before Gwin dove in another Ghostbuster with a generously-scored infield single. “Winston” was 2 for 3 with a sacrifice fly, 2 RBI and six stolen bases. Ghostbusters manager/outfiedler/catcher Ben Gwin was 3 for 3 with two doubles, 3 RBI, 2 runs scored and a stolen base for Avalon. Vinny Gala had an RBI on a bases loaded walk. Dr. Venkman was 1 for 2 with a walk and an RBI single. Gwin robbed BJ Rankin of a hit with a diving catch in left field. The Ghostbusters could not string anything together against Crush ace Christian Necheff, who continues his mastery of the Ghostbusters, and of their manager Ben Gwin who is 0 for 6 lifetime against his Blues (and future Ducks’) teammate. Crush utility player, Mark “Captain America” Guthrie hit a doubule a bunch of crap happened, the Stay Puft Marshmellow Man made an appearance, and the Orange Crush picked away at Ghostbusters ace Dr. Venkman scoring 3 runs in the third, one in the fourth and two in the fifth. While playing catcher, Gwin picked off Necheff at second base, to end the sixth inning with runners on second and third. Ghostbusters closer Ron Kuhns had minor control problems and the O.C. added four runs in the top of the seventh. Casale scored the only run for Avalon in the bottom of the seventh. The Ghostbusters will face the Gray Bats at 11:20 this Saturday at Pie Traynor Field. In a desperate move, Bats coach Larry Zalewski, has called for reinforcements, and will put friend, teammate and rival, Ben Sorosky on the mound against the Ghostbusters this weekend. I took Sorosky yard in 2006, back when we played on a little league field. I was 1-5 vs. the dominant right hander this past season, who pitched one of the best games I’ve ever been a part of for the Blues in Virginia this past Labor Day weekend.